BBC Television Centre: Season 1 filmed interiors at BBC TV Centre. Season 2 - 25 filmed in an industrial unit on Waterloo Road in Bristol. Exteriors were filmed in Bristol until Season 26. The exterior of the A&E unit was Gate 3 at City of Bristol College Seasons 1 - 17. Casualty (originally to be called Front Line) is the longest running hospital drama on TV. Interior of the A&E department filmed at BBC TV Centre in London. Street exteriors were filmed in Bristol. 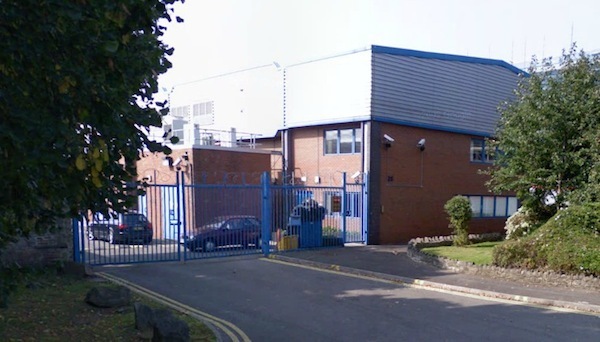 Interiors are based in a custom-built industrial unit (below) in Waterloo Road, Bristol (Google Map link). Street exteriors are filmed around the Bristol area. The exterior of A&E is still based at City of Bristol College. Interiors move to new Roath Lock Studios in Cardiff, Wales. All street exteriors are now Cardiff, not Bristol.